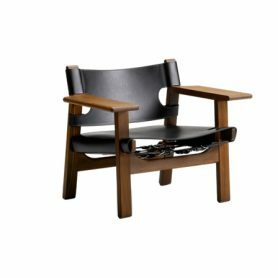 Spanish Chair by Fredericia is a design furnishing item designed by designer BØrge Mogensen in 1958. With Nordic and vintage style, it is the ideal armchair to decorate your home with originality. Fredericia is a Danish brand that produces high quality furniture (chairs, tables, sofas and complements).